Description:Special programs specifically designed for children and their parents or caregivers guarantee that your day at the Intrepid Museum will be fun and educational! All programs are one hour long and will meet at the information desk on the main museum level. Family programs are free with admission but require advance registration. 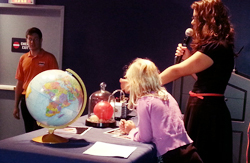 To register, please send an email to educationevents@intrepidmuseum.org. Please click on a star rating for Family Programs: Cosmic Colors. Please type your review for Family Programs: Cosmic Colors. Space Shuttle Pavilion	Daily except Monday from 10:00 AM to 5:00 PM	Adult $30.00; Seniors (62+ w/valid ID) $26.00; US College Students (w/valid ID) $26.00; Youth (7-17) $23.00; Veterans $23.00; Child (3-6) $16.00; U.S. Active Military, Retired US Military, Children Under 3 are Free; Members inquire within museum. 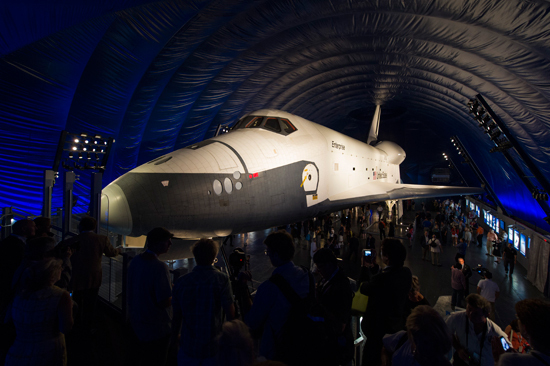 Space Shuttle Pavilion	Adult $30.00; Seniors (62+ w/valid ID) $26.00; US College Students (w/valid ID) $26.00; Youth (7-17) $23.00; Veterans $23.00; Child (3-6) $16.00; U.S. Active Military, Retired US Military, Children Under 3 are Free; Members inquire within museum.